In: LAUTECH 2nd Batch Post UTME Screening Result for 2017/2018 !!! LAUTECH 2nd Batch Post UTME Screening Result for 2017/2018 !!! 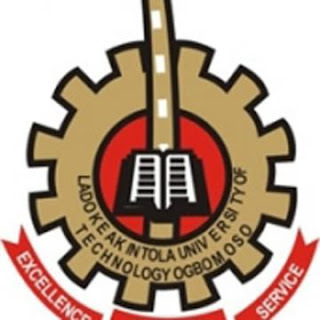 Ladoke Akintola University of Technology, LAUTECH post UTME result (second batch) for the 2017/2018 academic session has been released. Candidates that participated in the screening exercise can now check their scores. University of Technology (LAUTECH), Ogbomoso, second batch Post UTME screening exercise that their results have been released. LAUTECH second batch post UTME screening exercise results have been successfully uploaded online. Participants should follow the steps outlined below to check their results. 2. Supply your JAMB registration number and Password in the required columns. 3. Finally, click on Login to access your LAUTECH post UTME score.